There was a lively discussion on December 1st of a lively and provocative book. Reactions to Francis Spufford's style varied from the negative (childish, unnecessarily crude language, verbose) to the positive (at least he sounds modern and not stuffy). What can't be denied is that Spufford uses his twenty-first century writing skills to create a fresh and fluent account of one man's experience of, and reflections on, religion, specifically Christianity. The crack in everything is here to stay. So one thing we do … is to turn towards the space where the possibility exists that there might be someone to hear us … To turn towards a space in which there is quite possibly no one – in which, we think as we find ourselves doing it, that there probably is no one. Churches are vessels of hush, as well as everything else they are, and when I block out the distractions of vision, the silence is almost shockingly loud. It's best to read it for yourself but the result is that 'something makes itself felt from beyond or behind or beneath it all', 'it seems to shine ... with lightless light', and he's honest and aware enough to comment that 'what you've experienced is an absolutely bog-standard piece of transcendence'. There were other accounts at Wychwood Library of experiences of transcendence. What was more equivocal was how, why or whether these led one to reconsider what the great religions have to say about such experiences and what lies behind them. Clearly for Spufford they have done and you can only really glean with how much reality and sense - as well as emotion - by reading his own words in context. One could be disappointed by Chapter 4. Spufford has seemed to promise so much. But Spufford is also strikingly honest. He won’t just tell you that he can’t solve the problem of pain (if he could, he’d be Regius Professor of Divinity by now); he’ll also take you through each of the historic solutions (“theodicies”) and make sure you aren’t taken in by them, even if thousands or millions have been, through wishful thinking or otherwise. And that’s about the end of what argument can do for us. And this is the prelude to chapter 5 (Yeshua), which is the most extraordinary tour de force of narrating a very old story in a very fresh way. I was well and truly gripped by this re-telling of lots and lots of bits of the story of Jesus in a thoroughly modern, intelligible way. Billy Graham has nothing on Francis Spufford. You have to read it. It would be impossible to produce excerpts or summaries. It’s 39 pages but it’s worth the investment. What he does say before ending ch 4 is about praying, or rather who he prays to, and hence the essence of what Christianity is about. ... Which leads to the page-turner that is Chapter 5, 'Yeshua' (later latinized to Jesus). February 9th is already earmarked for Richard Holloway's Leaving Alexandria. 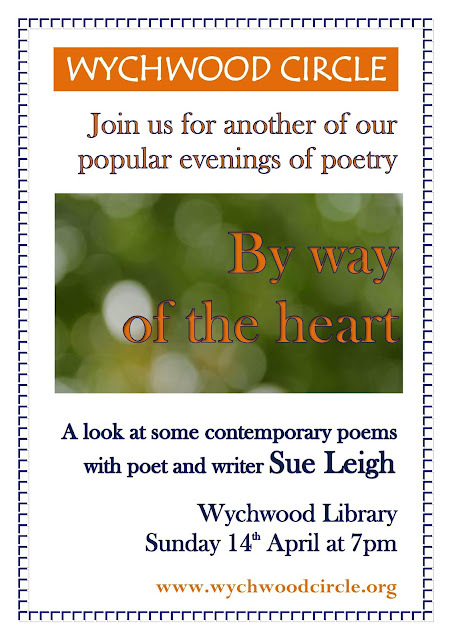 And on March 9th we welcome poet and theologian Nicola Slee to lead a session on Faith and Poetry.